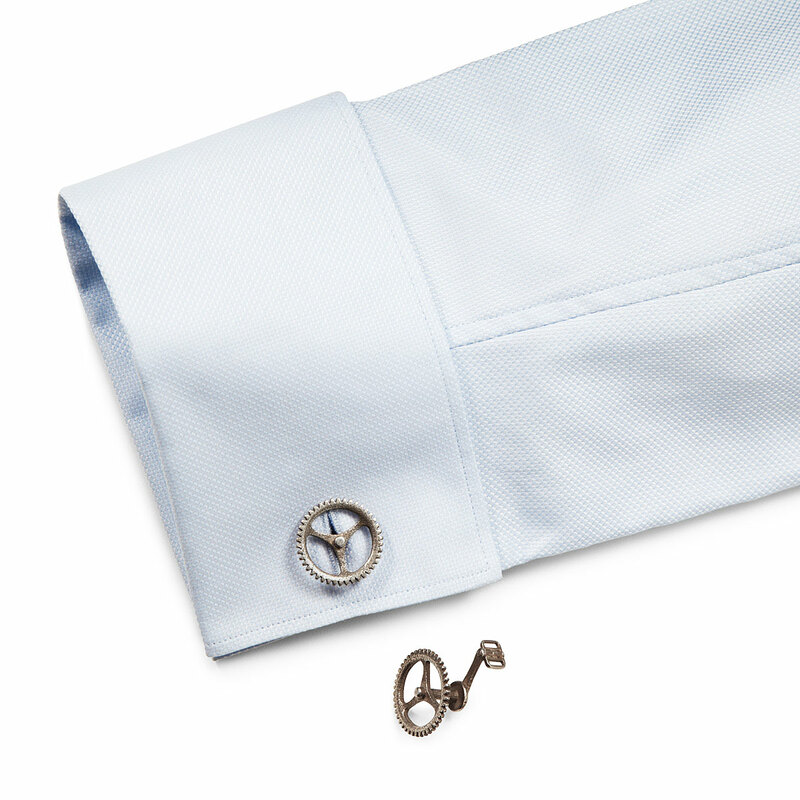 Kick your look into a higher gear with these hip, bike-loving cufflinks. 3D printed from stainless steel, each cuff is precision crafted to look like a chainring—the gear that pulls the drive chain on a bicycle. 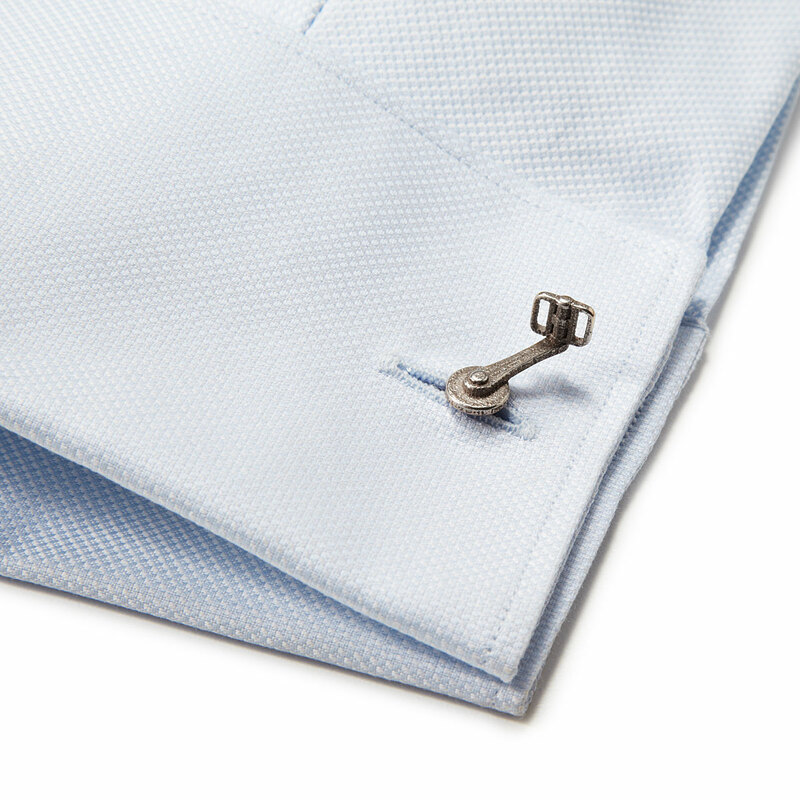 Instead of a traditional pivot clip, the cufflinks are held in place by a bike pedal that is inserted through the buttonholes. A funky accessory that handles formal occasions with a laid-back style, it’s not only perfect for French cuffs, but can also be worn displayed from an open collar button.